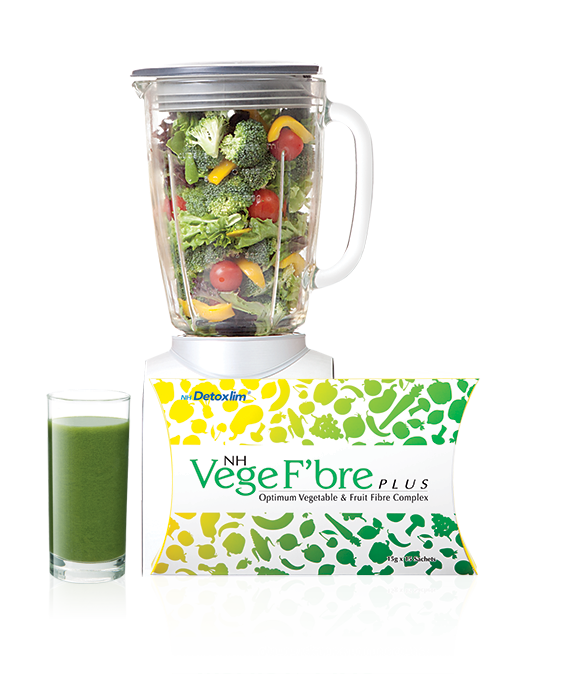 How should NH Vege F’bre Plus be taken? Take 1 sachet once every alternate day after meals. Take 1 sachet once daily before meals. Mix 1 sachet into a glass of lukewarm water (about 250ml to 300ml), stir well and drink immediately after preparation. Drink sufficient water throughout the day for optimum results. • Drink sufficient water (at least 8 glasses) daily. • Take it at least 2 hours before or after taking your medicine or health supplements. • A balanced diet and regular exercise are essential. • Get sufficient rest to keep your internal system functioning optimally. Who needs NH Vege F’bre Plus? • Those with imbalanced diets and unhealthy eating habits. • Those with chronic constipation. • Those with sedentary and unhealthy lifestyles. • Those who are used to late nights. • Those who are overweight or want to maintain ideal body weight. • Those who want better skin complexion.